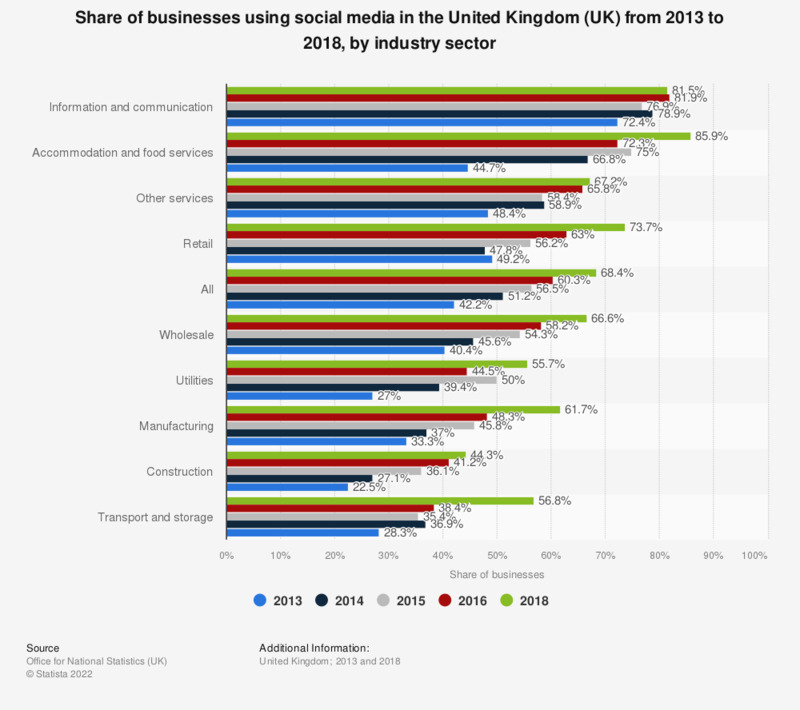 This statistic displays the share of businesses using social media in the United Kingdom from 2013 to 2016, by industry. In 2016, it was found that the penetration of social media use was highest in the information and communication sector, at 81.7 percent of businesses. Which of these statements on online marketing do you agree with?